Last Sunday at the Hombu, Hatsumi sensei said that “if you cannot control yourself, you cannot control others”. This is the secret of every learning process as we must understand our own behavior before trying to understand the one of others. The quickest path to achieve that is to master our basics. When you learn the basics, you force your self (body & mind) into unusual forms and reactions. This is the first step. Here the opponent is not somebody else, it is only yourself. This is the kihon level. Many martial artists stopped their understanding of fighting at this level. 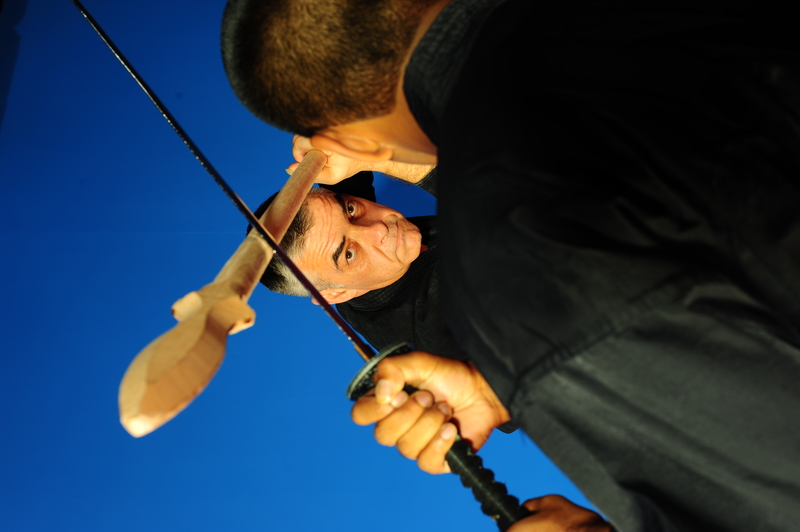 The second step is to learn how your movements can interact with formal ways of attacks. Here uke appears and follow a given set of movements and you apply the kihon that you learned, and you adjust them to a different reality. This is the kata or waza level and this is the main objective when you train in a dôjô with fellow practitioner. There is no surprise here as everything is predetermined, and there is no violence either. Few martial artists get to this level. The third level is the one of shizen, here the attack is unknown and your personal ability (sainô, 才能) flows naturally and will save your life or get you killed if you did not achieve the personal control at the first two levels. This is the level of training that is given by sensei to the bujinkan practitioners. To master and control these three levels of: kihon, waza, and shizen take a long time and only a very small number of practitioners will succeed. This is why it is said that budô is a life-time commitment. Even well polished, a mirror can always be polished a little more. Perfection is an attitude in life, not a manifested reality. 自然 shizen: you are in control of yourself and any attack is controlled naturally through your ability to flow into your environment. There is no surprise. This is a 三心 sanshin. Therefore the dôjô 道場 is not only the place where you learn the way, it becomes the place where you learn to ride with others 同乗 (dôjô). Learn to control yourself through this sanshin and you will be able to control the others. Banpen fûgyô, 10000 attacks, no surprise.